After a storm due to outburst of former President Asif Zardari against military, PPP is trying to mend the fences as other political parties did not support the former considering an inappropriate time especially when military is engaged in operations in FATA. Federal government, considering the importance of Karachi in economic revival, is more inclined to see logical conclusion of ongoing Karachi operation and restoration of peace in the metropolitan. 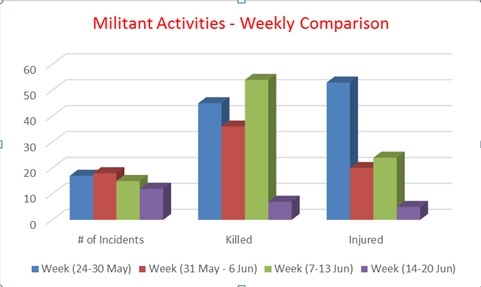 As compared to previous week, some notable reduction in violence by militants has been observed. 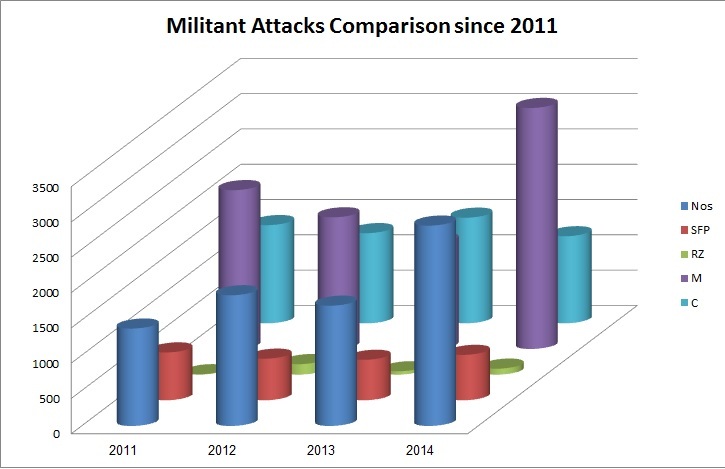 Violence has been observed in Balochistan, albeit of lesser scale. Issue of targeted killing continue to haunt the whole country in general and Balochistan in particular. Chief of Army Staff Gen Raheel Sharif paid visit to forward areas in Khyber Agency where military is conducting operation Khyber-II. Army hinted at earlier culmination of operation Khyber-II as majority of the areas of Khyber Agency have been cleared and only some pockets close to Pakistan-Afghanistan border are yet to be cleared.